After 20 Years, I Finally Have NEW Sticks! It always starts with a new pair of shoes. 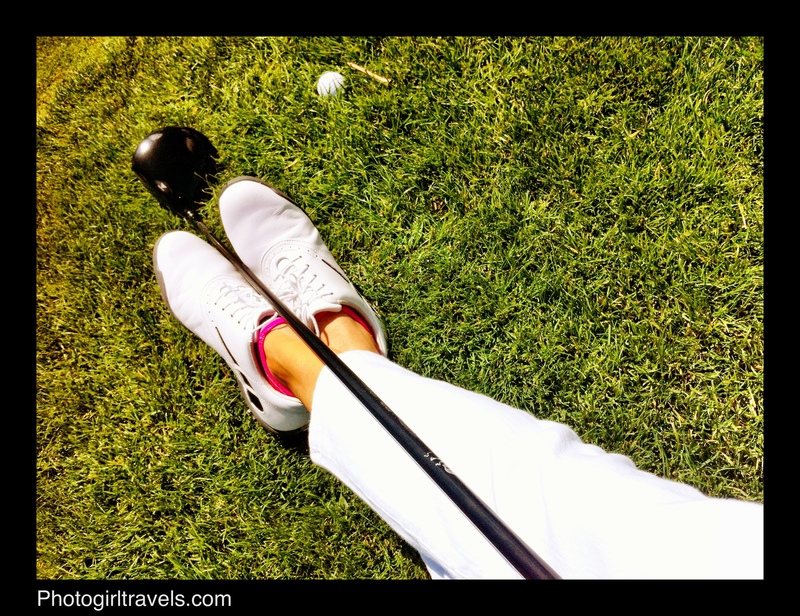 A good friend of mine got me back into golf which was not only fun…but yes, required a new pair of shoes. When I first got the invitation to play a round of 18, I promptly made my way into my storage area. I knew I had a set of clubs and a pair of golf shoes. After moving my 50 Christmas decoration boxes (I do love the holidays) – I finally found my clubs. I dusted them off (they could have used a good run under a professional leaf blower). Then, I carefully peaked down into the bag to see if there were any mice peaking back out. I’ve always wondered if you left a bag long enough, would a mouse find it and make it their home? Sure the bag was animal-free; I brought it up to my driveway. Not too bad I thought. 20 years old and still looking pretty good. The shoes were harder to find. After an afternoon of racking my brain…where could I possibly put them! I found them tucked into one of my Halloween decoration boxes. I have no idea why they would be there…but there they were. The morning of my first game, I discovered an entirely new world. 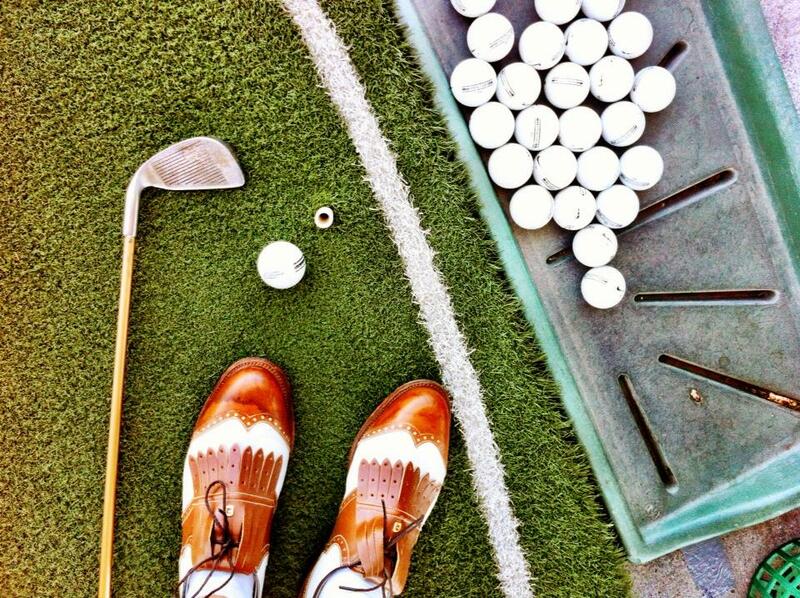 That day I borrowed a set of clubs and wore my 20 year old shoes. The irons seemed similar but the driver blew my mind. I could not believe how large it was! 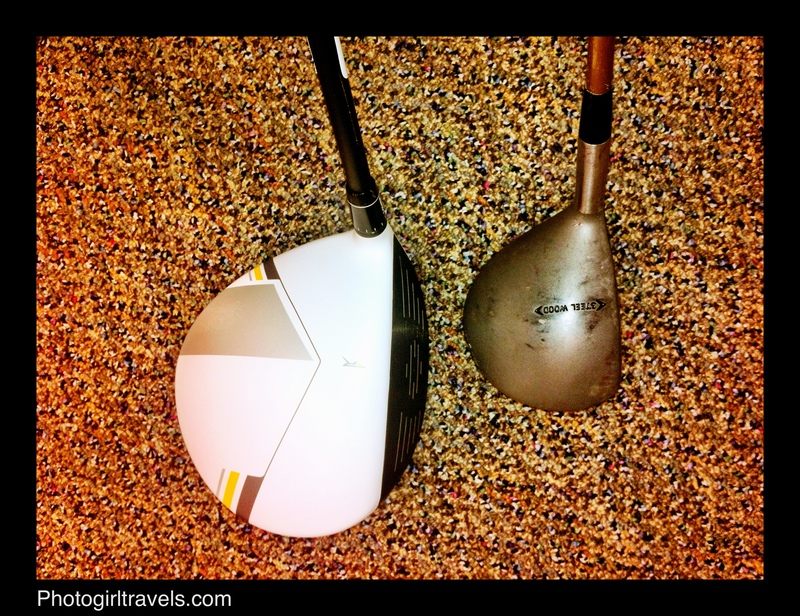 The photo below shows my old driver next to a new one. It almost doesn’t seem fair….! My ancient drive next to a NEW one! Playing with the new driver and a few tweaks as to where I needed to place the ball in my stance, I could see a difference. So what happened? I found myself out looking for a new pair of shoes…and it was all downhill from there. I was hooked! 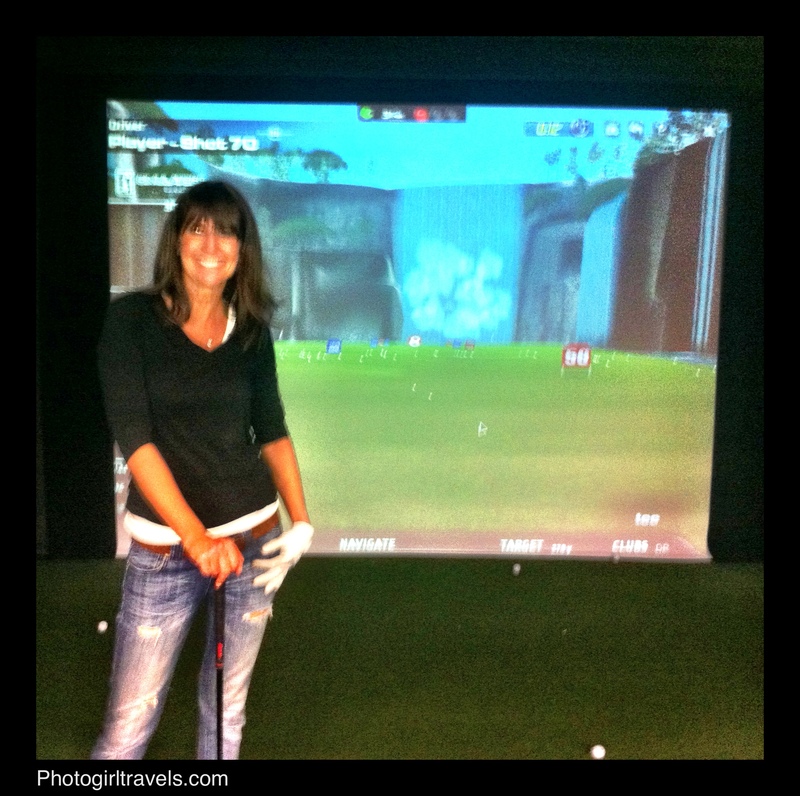 If you follow my blog you know I’ve golfed before. Over the years, I drifted away from the sport but like a boomerang, but I guess I’m now back. So back to the acquisition of my new clubs. 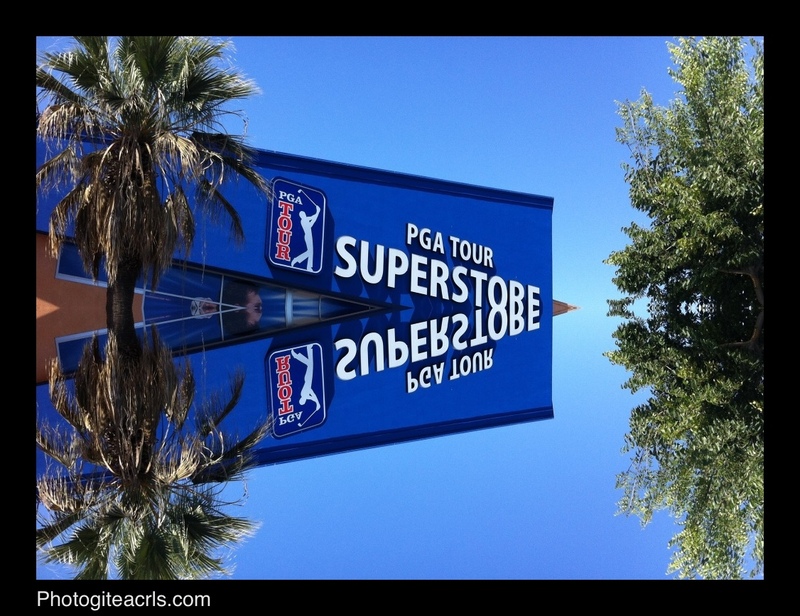 The first time I went into the PGA Superstore I was actually a bit shy. I’m not a really good player and was a little worried they would look at me crossed eyed when I mentioned I’d like to try some clubs. 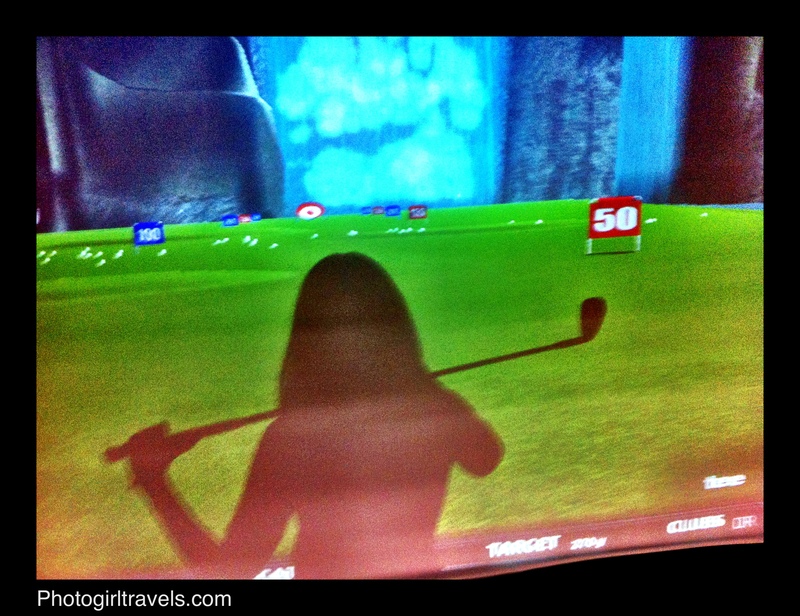 I walked over to the area where they have a long row of simulation booths – where you can hit and a computer will tell you your club and ball speed, trajectory, length of drive, etc. One of the Pros who works there walked up to me and asked me how he could help – his name was Marty Fossum and he seemed very interested in helping me out. From that point forward, I felt right at home. 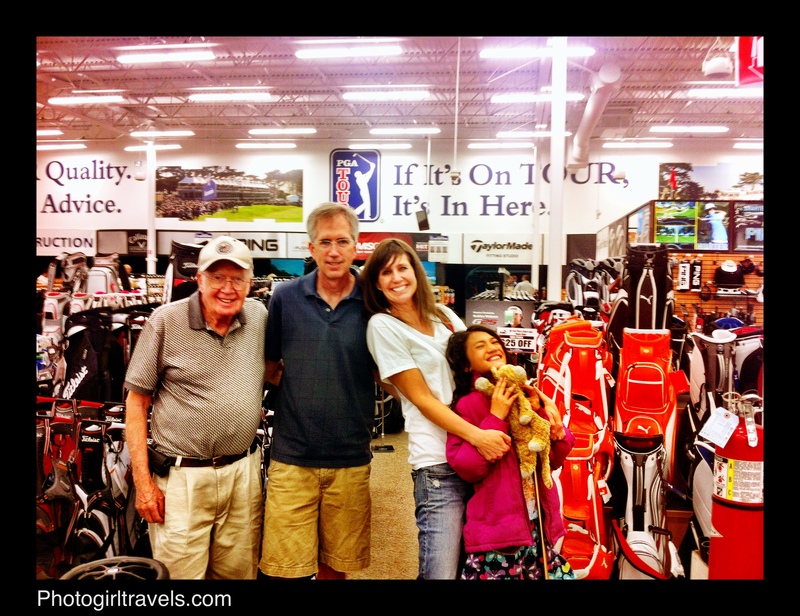 Marty helped start the club fitting process and not once did I feel rushed. If you get your clubs fitted they will measure, check to see if they need to adjust your lie angle, confirm shaft length, type and brand. 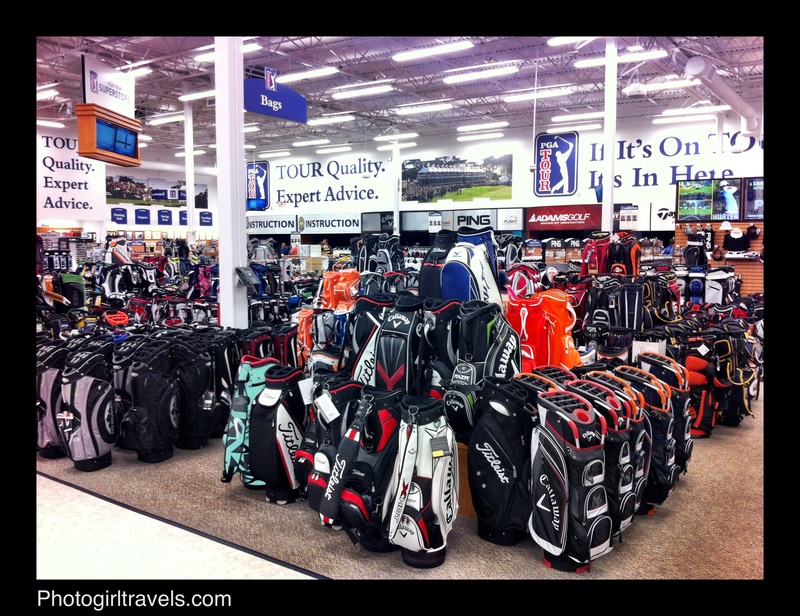 The way they check to see which brand you like is by interchanging the different heads – Titleist, Ping, Taylor Made, Cobra, etc. There are a ton of brands, so get ready to hit a bunch of shots. When I got finished, I had a good idea which one I liked but wanted to come back and try it again. “No problem” said Marty. He told me they don’t work off commission so the most important thing they want to do is fit you with the clubs that work best for you…not them. And I liked that. 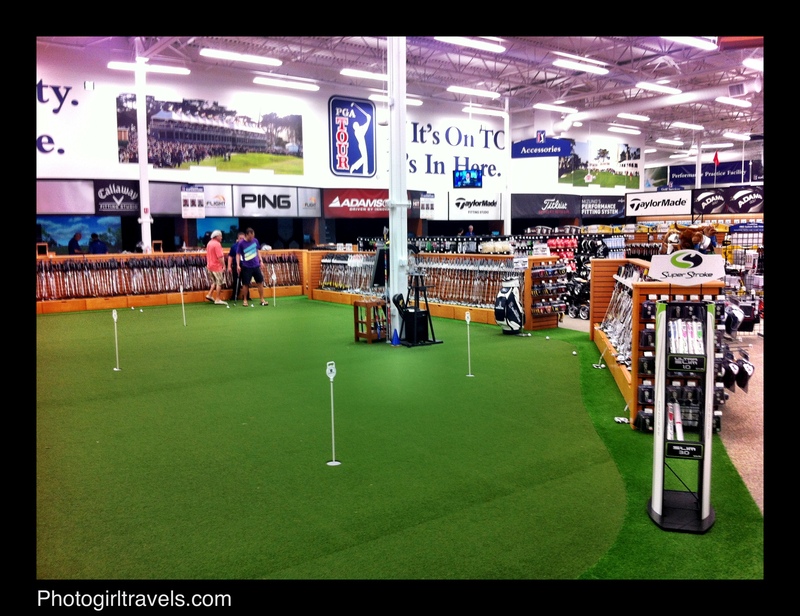 I came back two more times and on it was on the third time that I ordered my new irons. 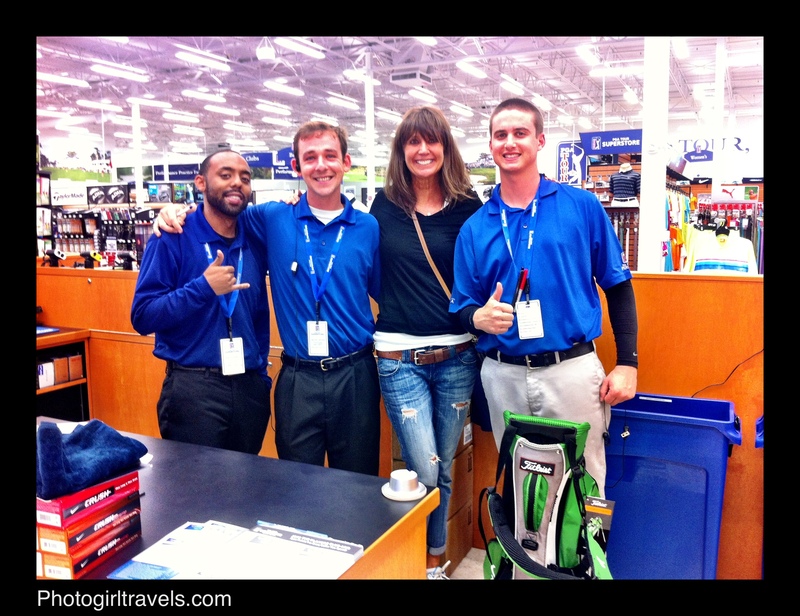 Below are some photos from the day I purchased my clubs. That day Michael Brown helped me out and he was GREAT! He adjusted a few things including shaft length which I really appreciated, was incredibly patient, and I finally pulled the trigger. Also, Chris Mullane came over and helped me with my swing. 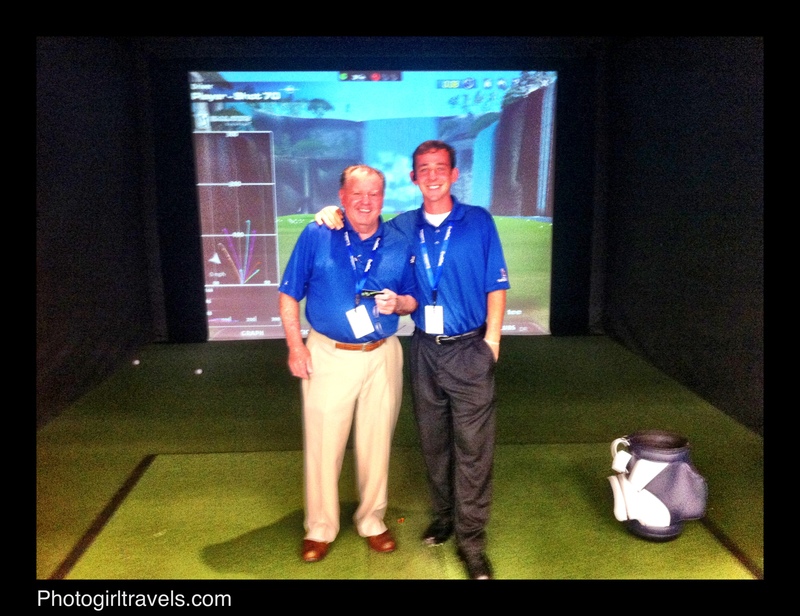 Chris is a 37 year PGA teaching PRO and has fitted clubs for over 17 years. Also, the day I got my clubs was his birthday so Happy Birthday Chris! If you’d like lessons I’d ask for Chris. Also, Nathan Brown, who is the Hard Goods Supervisor was very helpful too. Me in the simuluation booth! Chris Mullane (left – Happy Birthday!) and Michael Brown (right) – SO MUCH FUN and so helpful! 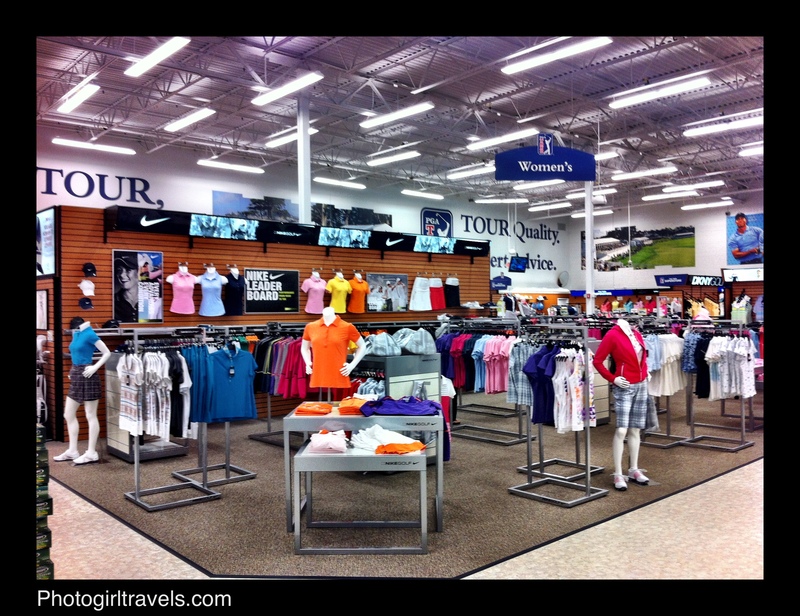 Ok, flash forward about a 1.5 weeks and it’s now time to pick up my clubs. It turned out that my Dad, aka Papa Stan, was in town and we were able to stop by and get them, with my brother and beautiful niece Ally – here is a photo of us picking them up. Thanks for taking the picture Michael, and allowing my Dad and brother to hit a few. We really think you are the best! Papa Stan (my Dad), Steve (my brother) and my beautiful niece Ally! 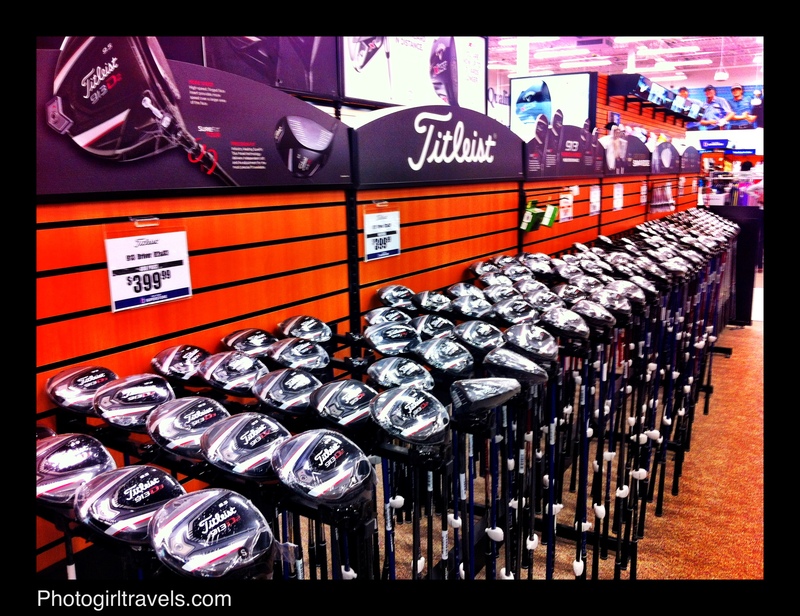 Picking up my new irons! I really wanted to thank the team of people who helped me. They allowed me to hit a ton of balls and try a number of clubs. For me great service means the world and if I find it I’m happy to let people know. Next I’m going to get my driver! Categories: GOLF | Tags: active, adventure, blog, boulder ridge, boulder ridge golf course, bunker, California, Cobra golf clubs, dinner, driver, filet, fore, game, golf, golf ball, green, hotels, luxury hotels, northern california, northern california hotels, Northern California's premier golf and spa resorts, Pebble Beach, photo, photo blog, photography, ping, resort, spa, sport, sports, sunset, Taylor Made, The Golf Club at Boulder Ridge, Titleist, Titleist Irons, wedding locations, win, winning | Permalink.